[M]y goal is to help you make decisions about what “rules” to teach to students who are learning to read. Our teaching decisions are based on our assumptions about language. This quiz may help you examine those assumptions. Before you begin, decide about the reliability you want a phonics “rule” to have … Make a commitment before you read any of the following items. Decide right now what percentage of utility you want a phonics “rule” to have before you would teach it to children who are beginning readers. Write that number in the box. I’ll do the first one for you in a number of ways. First, look at Item 1, then look at Items la and lb to see two possible ways of responding. Let’s suppose I’m like Clymer (1996) and I put a 75 in the box because I want a rule to work 75% of the time before I’d call it reliable. Your number might be higher or lower; it’s up to you. 1. When there are two vowels side by side, the long sound of the first one is heard and the second is usually silent. ___________ works for this generalization; ______________ does not. Would you teach it? Yes (because the 80% of times that I think it works is greater than my cutoff mark of 75%). Or, look at it this way . . .
lb. When there are two vowels side by side, the long sound of the first one is heard and the second is usually silent. Boat works for this generalization; book does not. Would you teach it? No (because the 65% utility rate is less than my 75% cutoff criteria). Now do the rest without my help. Clymer’s results are at the end of the quiz. I did not keep separate the 45 generalizations that he found because it makes the quiz too long. I’ve combined some to get this down to 35 items. 2. When a vowel is in the middle of a one-syllable word, the vowel is short. _____________ works for this generalization; _________ does not. 3. If the only vowel is at the end of a word, the letter usually stands for a long sound. ______________ works for this generalization; ________________ does not. 4. When there are two vowels in a word, one of which is final <e>, and the vowels are separated by a consonant, the first vowel is long and the <e> is silent. ______________ works for this generalization; _______________ does not. 5. An <r> gives the preceding vowel a sound that is neither long nor short. _____________works for this generalization; ______________ does not. 6. When the letter <i> is followed by the letters <gh>, the <i> usually stands for its long sound and the <gh> is silent. _______________ works for this generalization; ______________ does not. Ready for Clymer’s results? Here they are. Next to each number is the percent of times that the rule or generalization worked in the basal that Clymer studied. I also include some of the sample words he reported (Clymer, 1996). He did this work originally in the 1960s when he was teaching and a child asked him why they had to study so many rules when they were so unreliable. Are you asking yourself the same question? 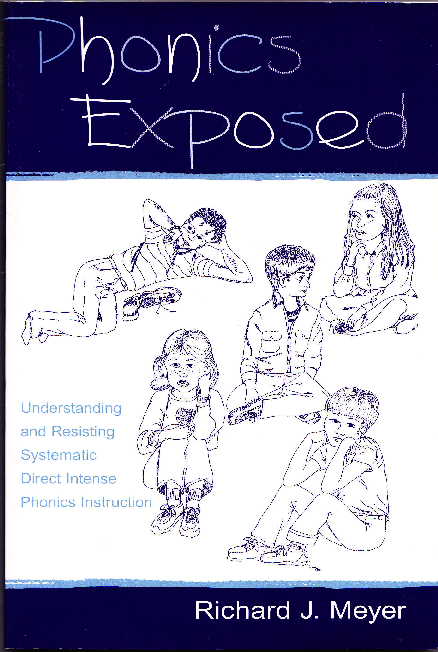 Maybe “rules” are not the way to teach phonics (see Moustafa, 1997). Bead works for this generalization; chief does not. Reliability of the generalization in the basal1: 45%. Dress, rest, splash work for this generalization; told sad fight do not. Reliability of the generalization in the basal: 62%. He works for this generalization; to does not. Reliability of the generalization in the basal: 74%. 4. When there are two vowels, one of which is final <e>, the first vowel is long and the <e> is silent. Bone works for this generalization; done does not. Reliability of the generalization in the basal: 63%. 5. The <r> gives the preceding vowel a sound that is neither long nor short. Horn works for this generalization; wire does not. Reliability of the generalization in the basal: 78%. High works for this generalization; neighbor does not. Reliability of the generalization in the basal: 71%. If you didn’t know these rules well enough to state them and think of examples, and you can still read, why teach them to children?